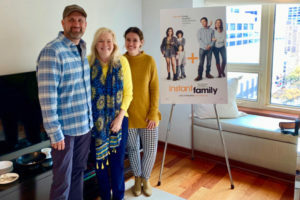 Director and co-writer Sean Anders new film “Instant Family” is based partially on him and his wife’s real-life experiences with foster care prior to the adoption of their three children who are biological siblings. 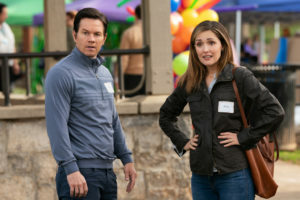 The film stars Mark Wahlberg and Rose Byrne as parents of three foster siblings highlighting the ups and downs they encounter with the system. At its core, this heartwarming film is important as it sheds a spotlight on parentless, or absent parents of siblings in foster care, and takes away the false stereotypes that are associated with foster kids. Our interview took place in Chicago at the lavish Park Hyatt Hotel, on November 7, 2018. An adoption consultant Maraide Green, was also present for the interview. She’s a student at UCLA studying to be a writer and a product of foster care and adoption. Maraide studied drafts of the script checking for authenticity; she served as a consultant on set during the filming. 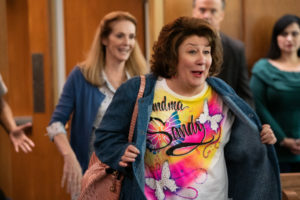 Sean Andres is known for his comedic work, most recently “Daddy’s Home”(2015) and “Daddy’s Home 2”(2017), so to tackle the serious topic of foster care and adoption no doubt seems to some, a little out of his league. After viewing “Instant Family” and knowing Andres backstory, the film is absolutely a perfect match for him. It appears that he has met his goal of changing the stereotype that surrounds a foster child, and has enlightened us on the topic of sibling foster children. Sean Anders, Sarah Knight Adamson and Maraide Green, “Instant Family” Park Hyatt, Chicago. As it turns out, Sean and I have a connection with the location of where he was born as my family has a vacation home not far from his town. My first question inquired about his family roots. It’s always interesting to me to interview a director who is also a writer, I asked about his writing and what he enjoys most about the writing process? On the topic of directing, Sean said, “I’ve always felt like I was good at a lot of different things, but not great at any one thing. 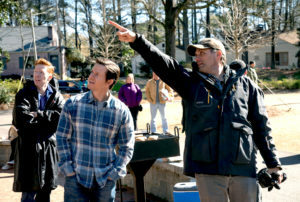 Directing is a great job for somebody who’s a bit of a jack-of-all-trades, because I’m interested in every facet of it, from camera to costumes to the writing process, to the actors. As a director, you get to surround yourself with all these incredibly talented specialists, and you get to be the one who’s guiding that ship, and I really like that process. I also really like trusting the people that I work with and letting them be important parts of the process. When asked about Mark Wahlberg and what he brought to the film Sean was very appreciative. When asked if the character of Grandma Sandy was in the script from the beginning Sean beamed. I then asked Sean to talk about the current statistics in adopting foster kids, and relationships of siblings, and how he thinks that we can solve this problem in this country? Maraide said, “Well, there’s just a lot of stereotypes around the kids that grow up in foster care, and that isn’t true. Most of these kids are great kids who are very smart, are very athletic. They have a lot of great qualities, but people are so afraid of them because they think that because they had a traumatic childhood that they’re just going to be destructive the rest of their lives, but that’s not true at all, they need people that love them and support them. The foster parent group sessions in the film were telling, I asked about showing the tough times with the good.